Combine all ingredients in a shaker ﬁlled with ice. Shake vigorously, and strain over ice-ﬁlled highball glass. Garnish with a cornichon. Enjoy! 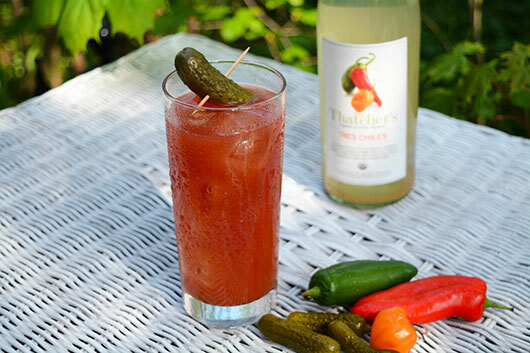 Shake Thatcher’s Organic Chipotle, Thatcher’s Organic Small Batch Vodka, bloody mary mix and salt & pepper with ice. Strain shaken cocktail into an ice-filled highball glass. 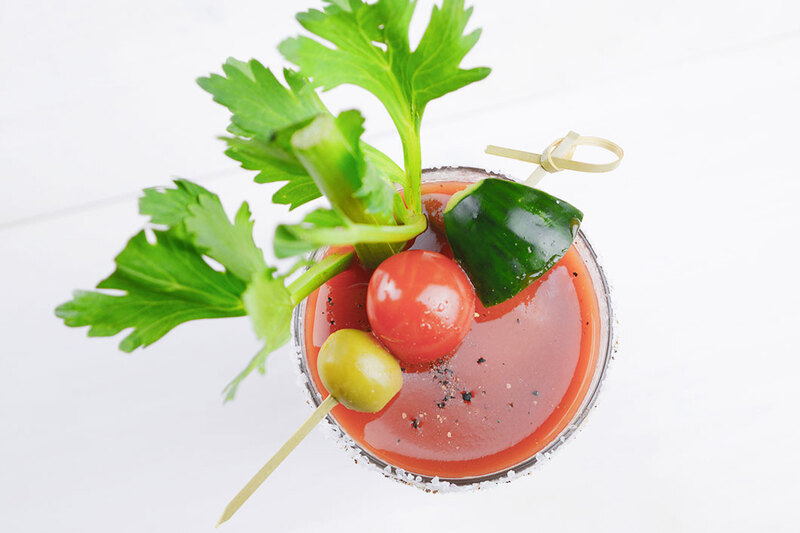 Add celery for garnish. Enjoy!